Sugar cravings are extremely common and, hence, are bound to knock your door at some point of the day (read midnight). Did you know that the sugary treats that we eat are mood enhancers, they bring about a pleasurable feeling and soothes our mind, especially after a stressful day? But, we usually end up kicking away our sugar cravings in order to stay fit and follow a healthy diet. However, ignoring your sugar completely is not a great idea, as your body needs a minimal amount of sugar in your diet for that energy boost for the day. So, let’s switch to some healthy options for your sugar cravings that are not just good for your health but also good for your taste buds too. So, all the sugar lovers, this article is just for you. 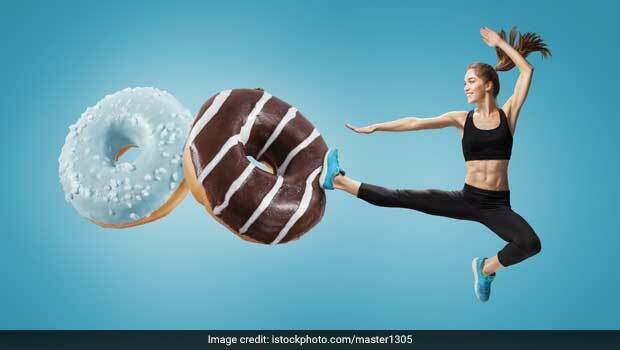 Keep aside your sugar-dipped jalebis, churros and gulab jamuns and try these healthy options for your never-ending sugar cravings. 1. Chia Seeds: Chia seeds are a good source of many important nutrients like omega-3 fatty acids, which are believed to raise HDL cholesterol that protects against heart attack and stroke. Chia seeds comprise 40% fibre, meaning adding them to your pudding or smoothies will give you a healthy dessert and keep your hunger pangs at bay. 2. Dates: Dates are a great source of fibre, potassium and iron, moreover, they are also known to boost energy level in people. Having a few dates, instead of the junk sugary food, will help give you a sugar fix with an energy boost for the day. You can also pair them with nuts like almonds for a sweet and crunchy treat. 3. Sweet Potatoes: Sweet potato is a starchy, sweet tasting root vegetable, which is rich in fibre, vitamins and minerals. Sweet potatoes are also known to promote a healthy digestive system. Moreover, they are a good source for your carb intake, which would help you to stay on your balanced diet quotient while providing you the sweet taste that you’re craving. You can have roasted sweet potatoes with a pinch of cinnamon for an enticing treat. 4.Snack Bars: Yes, you heard it right! Snack bars can be healthy too. But, you’ll have to pick the right one as not all snack bars are healthy. From the wide variety of snack bars available in the market, pick the ones that are made with oats and sweetened with dried fruit. But, if you’re not able to find the perfect healthy snack bar for your sugar cravings, you can always make one by yourself at home. 5.Smoothies: If you need a quick snack to get over your sweet tooth, a healthy smoothie could be a great fix for your sugar cravings. This on-the-go drink is a mix of healthy and nutritious fruits, with the filling effects of yogurt. While curbing your quest for sugar, it also provides you all the goodness of fruits, especially if you use the whole fruit instead of the juice and retain all the fibre. Now, that we’ve shared a list of healthy sweet substitutes, you can satisfy your sugar cravings without any guilt!